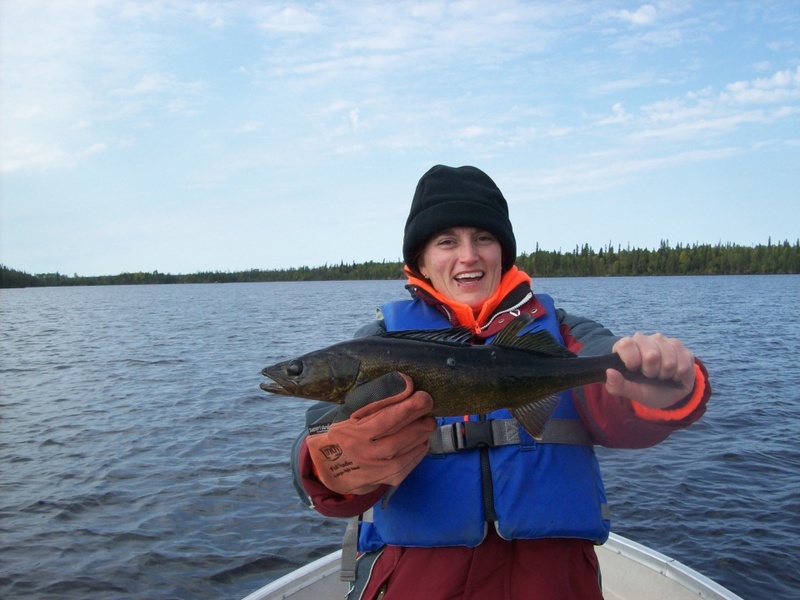 Narrow Lake is located roughly 35 Km (22 mi) from camp by boat. A very short walk on a good trail. Narrow Lake has a look all on its own. Just like the name suggests, it is long, deep and narrow. 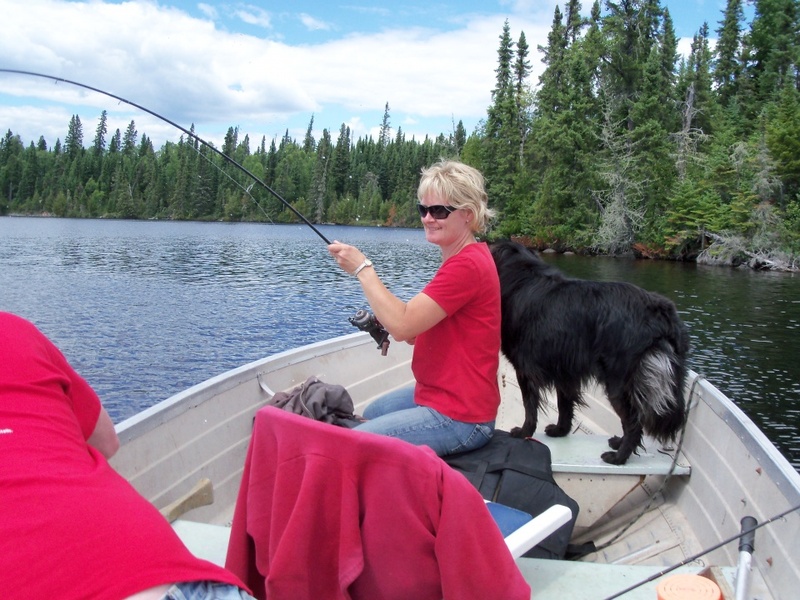 The lake has a lot of history dating back to the 1940s when they used to cut timbers for a number of gold mines in the area. 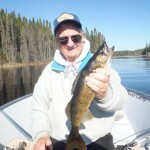 Old Len Shannon used to prospect on the lake for years. The remains of his old cabin are just past Prospector Narrows. 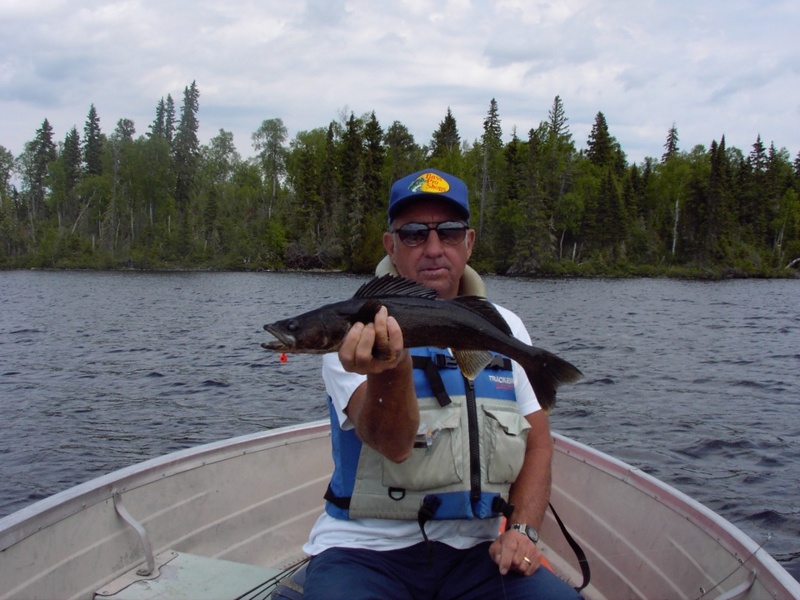 The water is black like coffee adding to the mystic of the lake and making it a walleye factory. The lake has some great structure and some very deep holes. 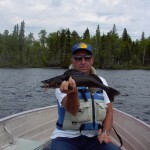 I find the lake fishes best later in the afternoon and evening. A little chop sure turns the fish on! 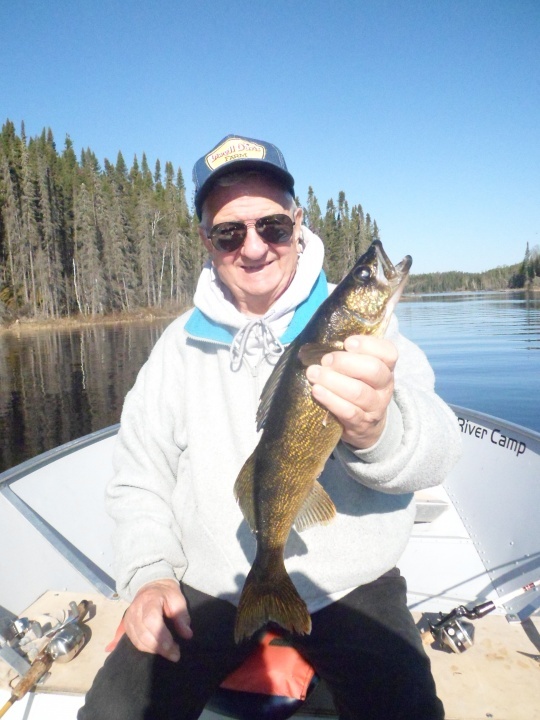 This is one of my favourite lakes for the scenery and the Walleye fishing. Jig fishing is my chosen technique but I have been out fished with guests using a form of Lindy rigs. 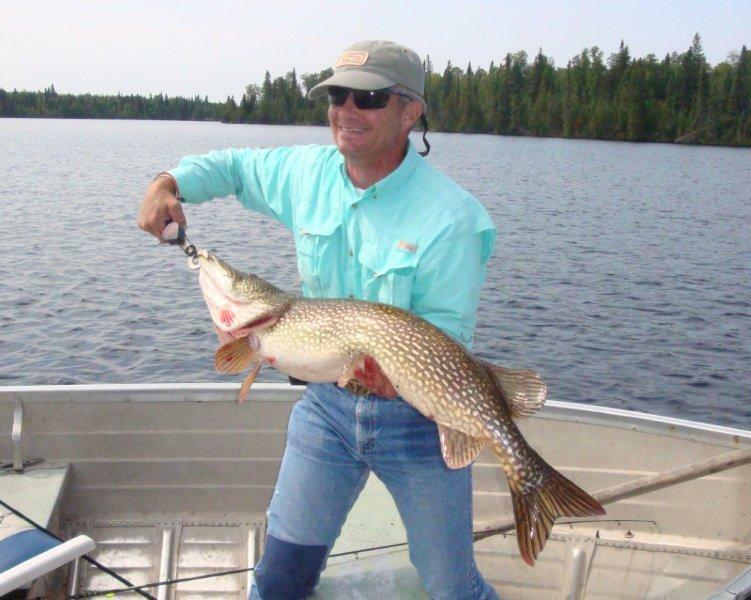 Although not superb Northern Pike action, the lake has produced some of the biggest trophy fish caught at Woman River Camp. 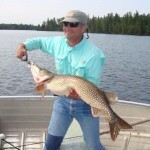 The Northern Pike like big baits. Woman River Camp has three 16′ boats that will fish three anglers comfortably in each boat. Possession limits on Narrow Lake are Conservation limits only and in accordance with our Woman River Camp’s Conservation Policy. 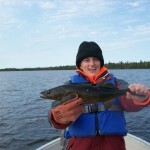 Catch and release of all Walleye over 18” and Northern Pike over 27”.